New. Fun, action packed story that takes inspiration from American superhero comics. Num Pages: 192 pages, illustrations. BIC Classification: FXA. Category: (G) General (US: Trade). Dimension: 129 x 191 x 17. Weight in Grams: 168. 2016. Paperback.....We ship daily from our Bookshop. New. Trade paperback (US). Glued binding. 192 p. Contains: Illustrations. 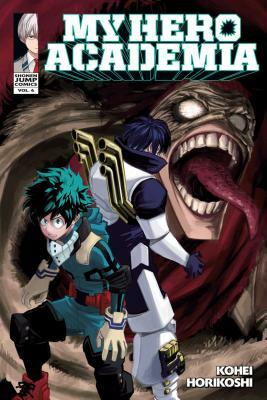 My Hero Academia, 6. Intended for a young adult/teenage audience.